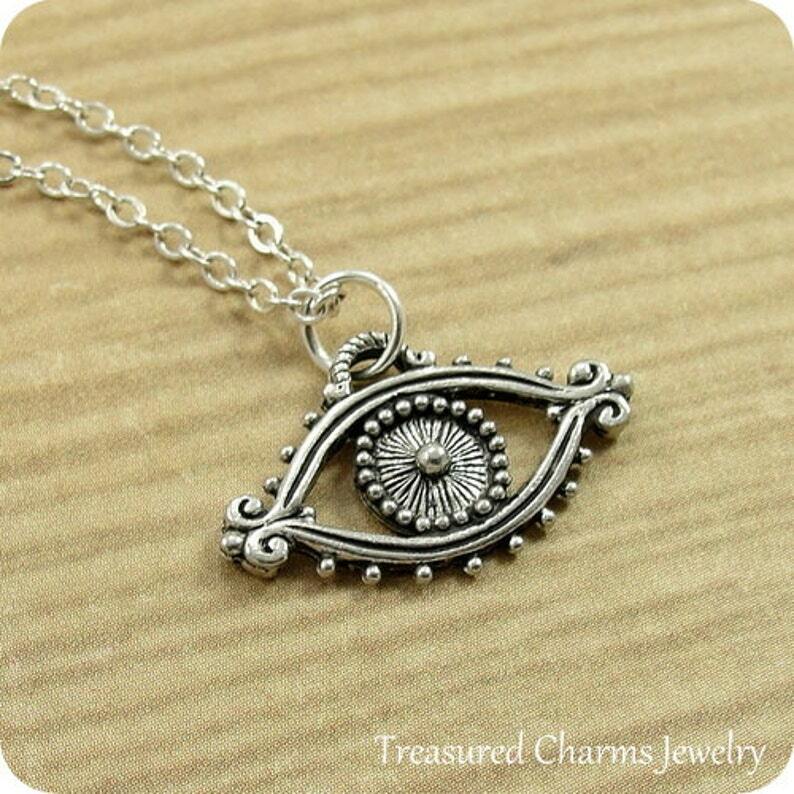 This Evil Eye Charm necklace comes on a silver-plated chain that is available in different lengths. Please choose your desired length from the drop-down menu when placing the item in your shopping cart. Gorgeous necklace. I absolutely love it! !